Had a go at making coconut yoghurt from scratch. 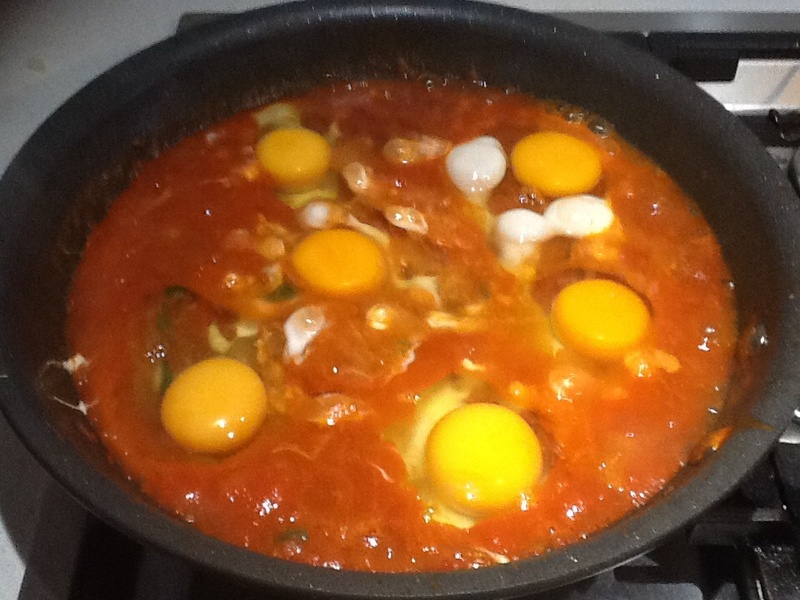 Investigated heaps of recipes on the net -there seemed to be 2 main types – ones that use thickening agents and ones that didn’t. I decided to try one without a thickener, the recipe reviews seemed mixed as half the readers said theirs did not set, but being an optimist I thought I would start off without the thickener. 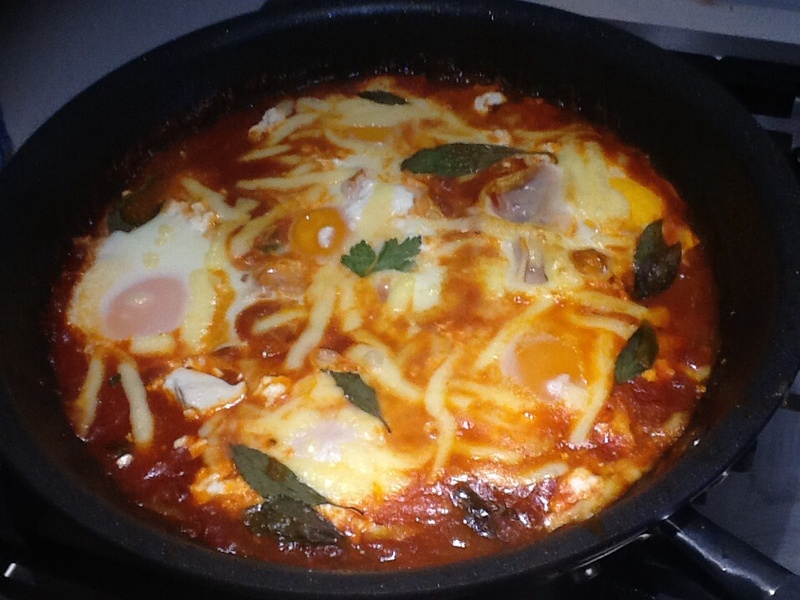 Really simple recipe and tasty but it did not set. So decided it would be perfect to use in a smoothie. Read so much lately about the health benefits of turmeric so thought I would give it ago. I added these to a yoghurt maker and let sit for 12 hours. Next time I will try adding a thickener either gelatine or arrowroot flour. This might sound like a funny combination, but it actually tastes great and surprisingly not heavy. It is also great way to use up that little bit of pumpkin in the fridge. Bring to boil then cover and simmer for 15 mins. Add more coconut milk if need be. (Aim is to get all liquid absorbed). Stir in pumpkin, cinnamon and maple syrup. 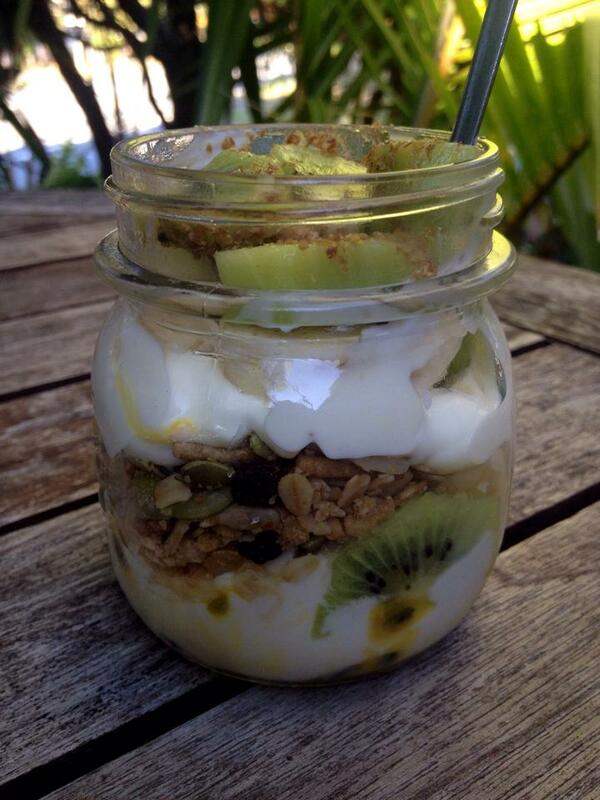 Simply make ahead breakfast idea shared by Lindy – Breakfast in a jar. Can be made with anything, berries are nice too. 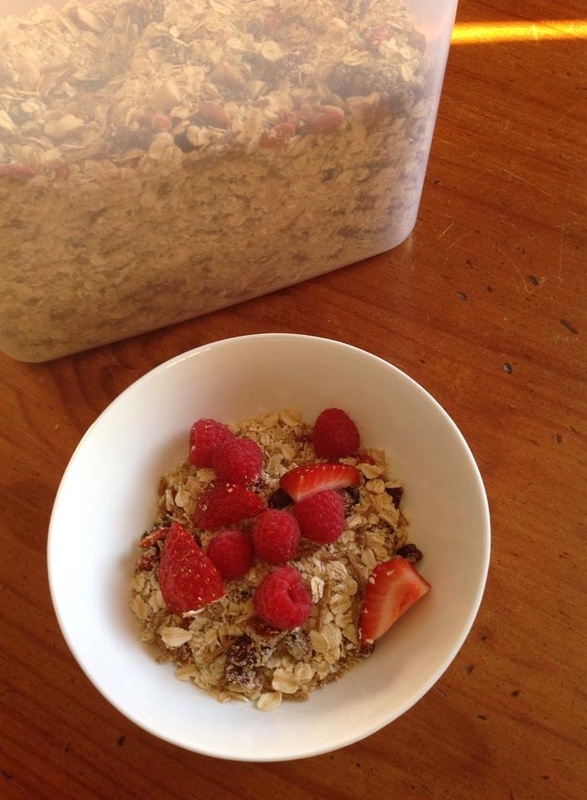 This is a great prepare ahead breakfast option shared by Hanna. 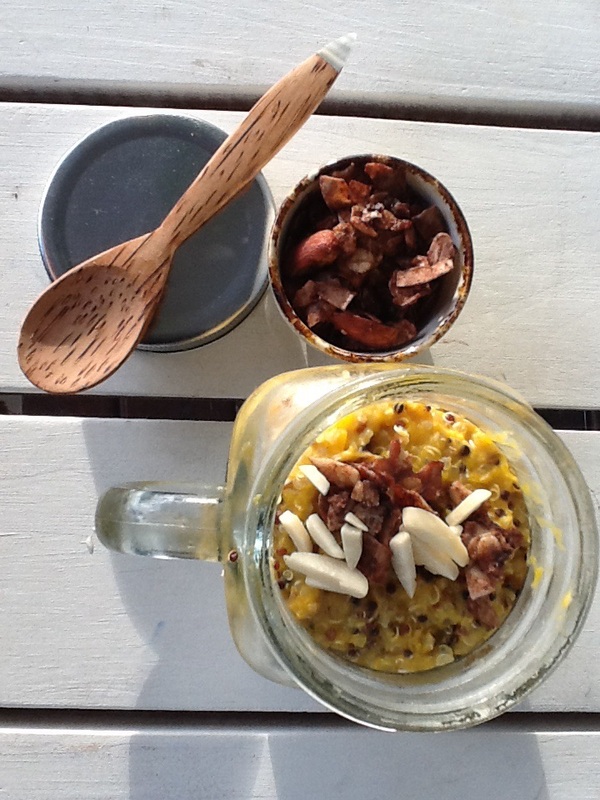 Pearl barley is an alternative porridge ingredient, but you could replace this with oats or quinoa. 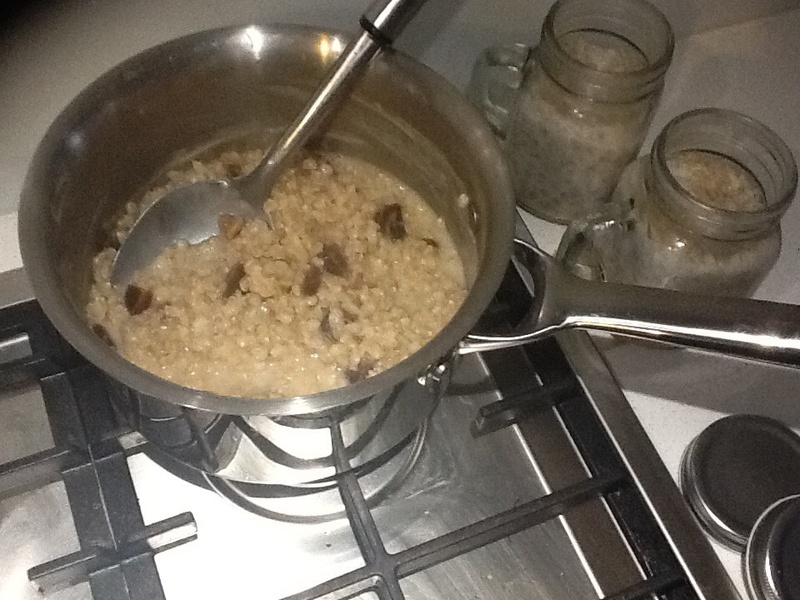 Add pearl barley, cinnamon stick and water in a pot and bring to boil. Lower flame and simmer for 50mins uncovered stirring occasionally. Add more water if need be. Serve either hot or cold. 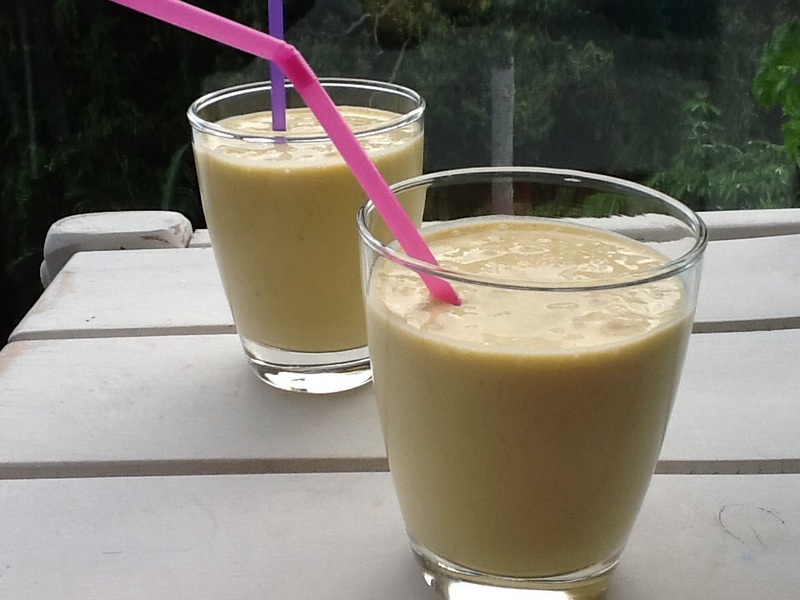 You could also add banana or apples to this recipe. Sweeten if desired with honey or maple syrup. 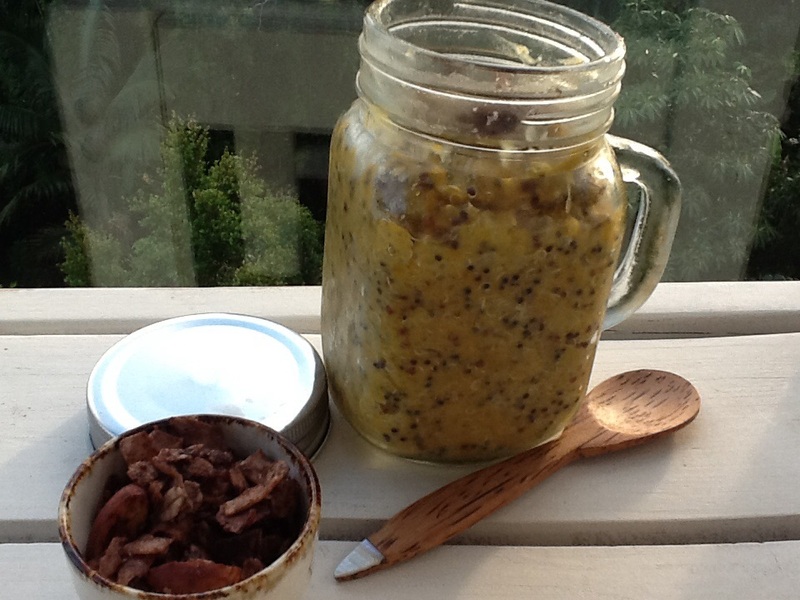 You can serve up in mason jars and leave in fridge for 4-5 days. 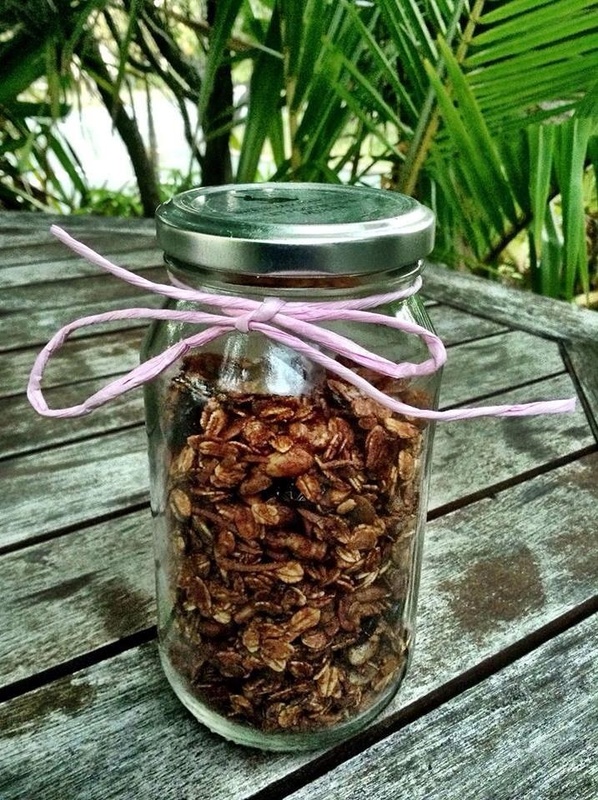 A simple but filling breakfast idea shared by Hanna. Crack carefully into the sauce. 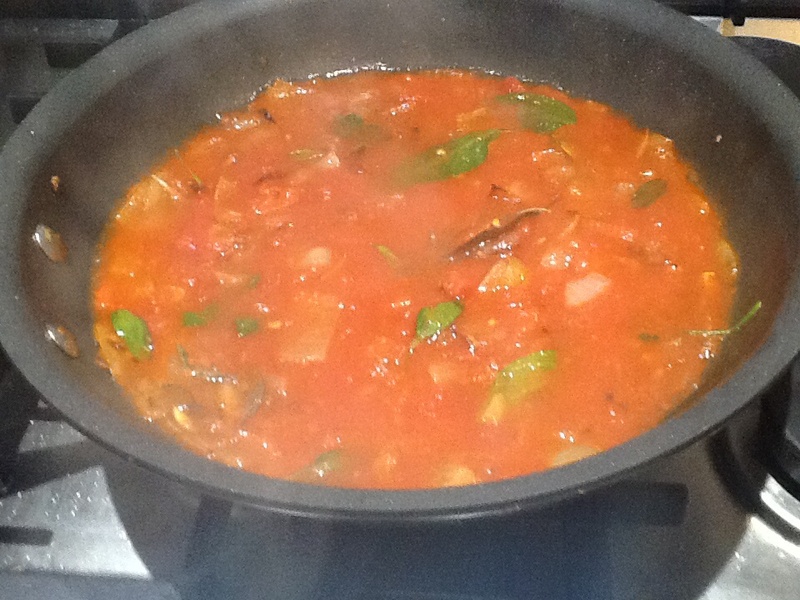 Add can of tomatoes, simmer for 5 mins. Place in oven for 8-12 mins depending on how hard you like the poached eggs. Mix all the dry ingredients, then add beans and berries. Combine all wet ingredients together in another container. Gently and add wet to dry ingredients and mix till blended. Do not over mix. Pour into lined jumbo muffin tins on 180 for approx 20 mins. If you have a sweet tooth you may like to add more sugar. I added the cranberries and stewed Granny Smith apples for sweetness, taste and see if you need more sugar before cooking. Also quinoa flour has quite a strong flavour so you may like to swap this with another flour or reduce it and increase the rice flour. 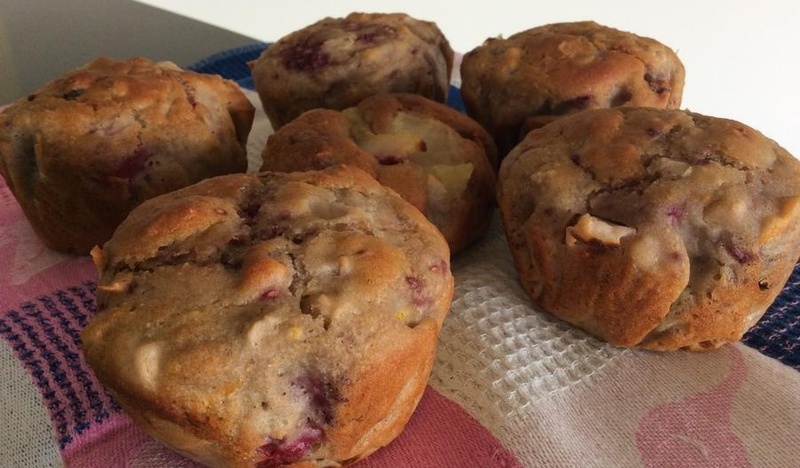 I got 8 delicious jumbo muffins from this mix. Enjoy. Another great breakfast sharing idea. Carolyn posted this on the Facebook site. Friday afternoon treat to celebrate weekend. 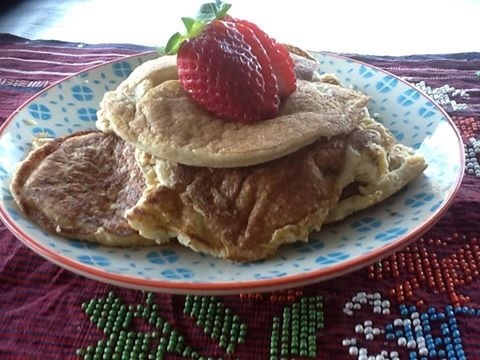 Pancakes made from coconut flour. My kids loved them – though they did smothered with maple syrup. This recipe has the same texture as making it with whole meal flour. Blend in a food processor oats till they are a powder. Add the other ingredients and blend till throughly mixed. If too thick add some water. Fry up, I used coconut oil to keep with the coconut theme. Everyone loves smoothies! This is a tea based one. 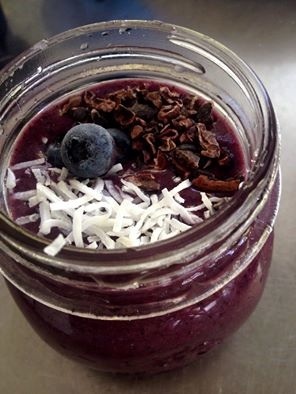 We all know how important breakfast, and it does not have to boring and come out of a box. Preheat oven to 130 degrees may have to adjust.. Mix dry ingredients in a medium sized bowl.. Combine dry ingredients with the wet mix. Make sure all dry ingredients are thoroughly coated with wet mixture. Evenly spread mixture on a shallow oven tray lined with grease proof paper. Bake approximately 45mins. 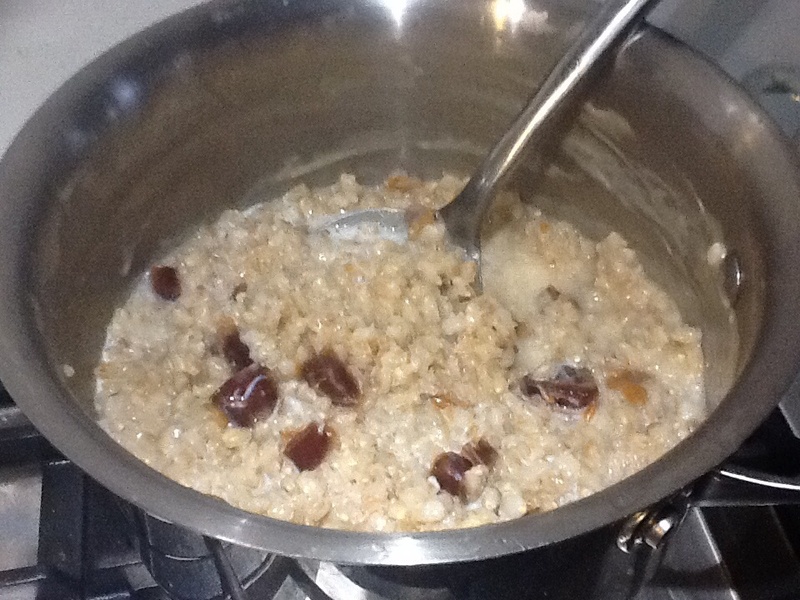 Be sure to stir every 10 Mina or until granola is dry and golden in color. Allow to cool and store in an airtight container. Serve with your choice of yoghurt or seasonal fruit..